British Beatles Fan Club: Beatle Week Schedule for Banned On the Run! 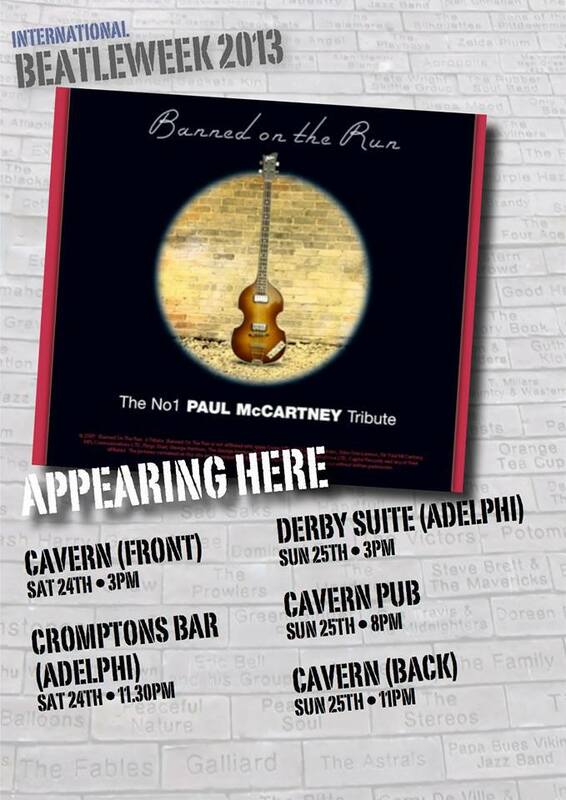 Beatle Week Schedule for Banned On the Run! New White Feather Auction Now On! What's New with Paul McCartney? Beatle Week Schedule for the Legendary Hal Bruce! Beatle Week Schedule for Revolver! Beatle Week Celebrations on Penny Lane! St Peter's Church Hall Open for Beatle Week! Beatle Week Schedule for FabFivePaul! Beatle Week Schedule for the fabulous Rockits! GOOD OL' FREDA - Watch the Trailer! The BBFC at Beatle Week! Beatle Week Schedule for "One After 909"
Beatle Week Schedule for The Beatelles! The Mersey Stew Two - Beatle Week Schedule!